Soft foam pillow, surface made of printing PU leather conforms to wrists for exceptional comfort, significantly Reduces Wrist Fatigue. 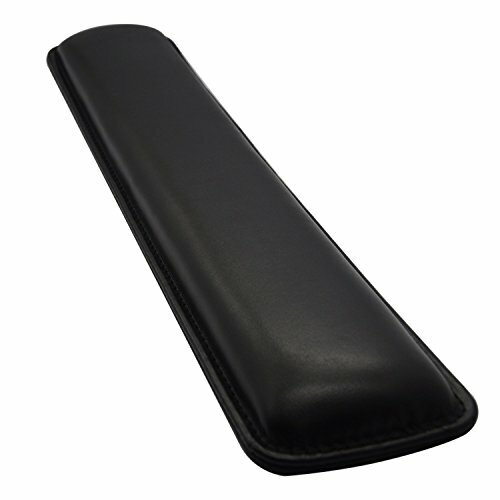 The soft leather palm rest combines style with comfort and convenience that designed for standard keyboards. The Stanaway's Black Keyboard Wrist Support has been ergonomically designed to conform to the user's wrists, redistribute painful pressure points and ensure maximum support for all day comfort.